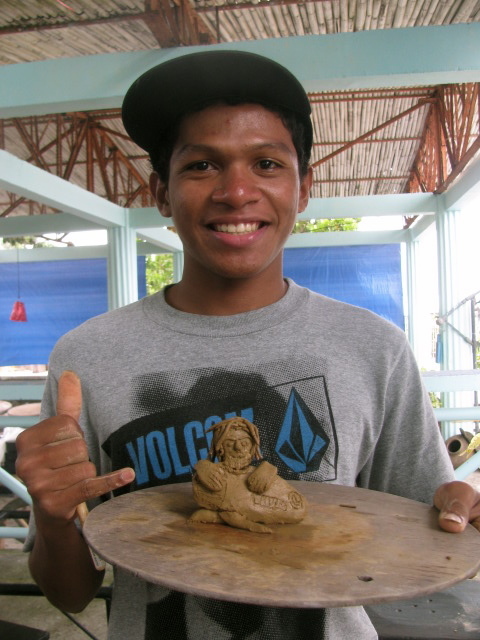 Hampas ng La Paz: “Skimboarders Play With Clay!” (Part 9) – CREATE. PLAY. TRANSFORM. The first local skimboarding competition in La Paz ended at noon time. After having lunch, we had a lot of time to rest. Some of the skimboarders continued chasing waves, and the others, decided to try getting their hands dirty with clay. There’s always a first time for everyone. The first drop of the board on the water, the first glide on the surface of the water with a skimboard, the first fall, the first set of beats for a palpitating heart while running for a good wave, etc. 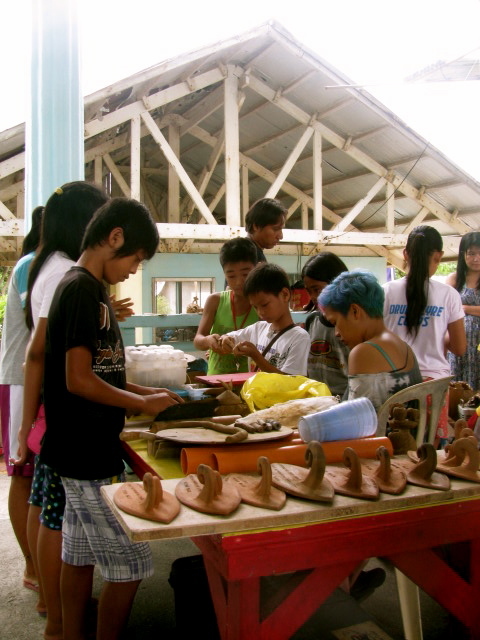 Clay Ave students who came to Zambales, couldn’t wait to have their hands all muddy! The skimboarding competition judges, Manoy Bazar, Ian Olmedo, and Melvin Blair Abad, played with clay too! 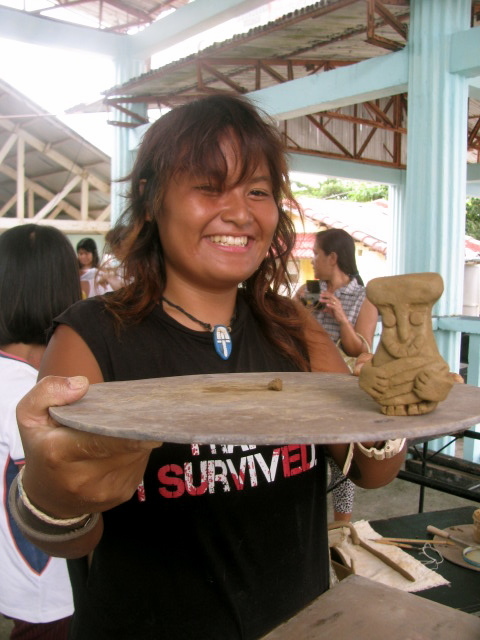 Ian created Jaromanoy’s character with clay : ) (Ian designs skimboards for Jaromanoy in San Felipe, Zambales). 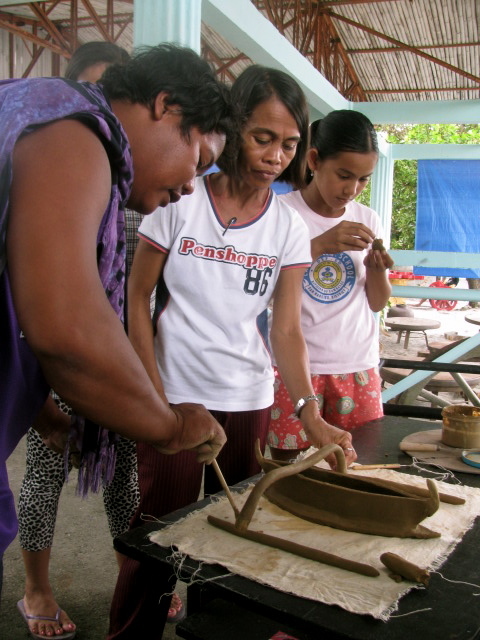 While the others make their own characters in clay, Jason spent his clay time forming his “bangka” with slabs and coils of clay. Some of the locals joined our clay time too. My friend, Jazel, an artist from Manila, concentrates on her first shot with clay. The skimboarders’ trophies on the table are all handmade in Barangay La Paz, San Nariciso, Zambales. 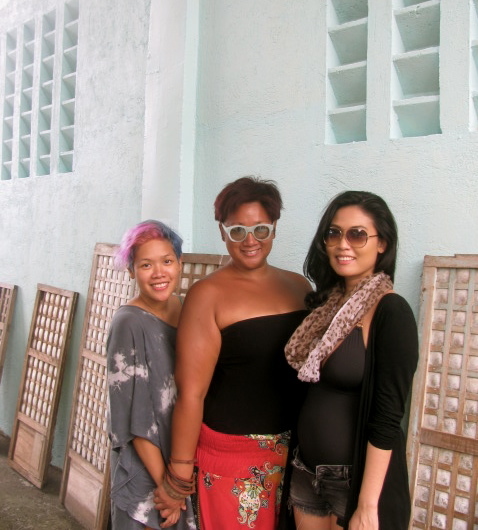 Thanks to friends, Jazel and Ginny, who came all the way from Manila to support Hampas ng La Paz! The sun appeared the whole day, when rain started to fall, it was still beautiful. The skim spot was just right, the waves were all great, the competitors and judges had a great time. We all got stoked from the waves, the local clay, and friendships that were formed during the competition. The day isn’t over without having an after party! Putik at alon, isa lamang ang epekto mo sa aming lahat at ito ay kaligayan. Up next: Reggae Night in Villa Kiana Beachfront!